If you are sat every night in your love island merch with the iconic water bottle we have found the event for you. What couples do you love? Wes and Laura? Or are you rooting for Alex to find the girl he deserves? 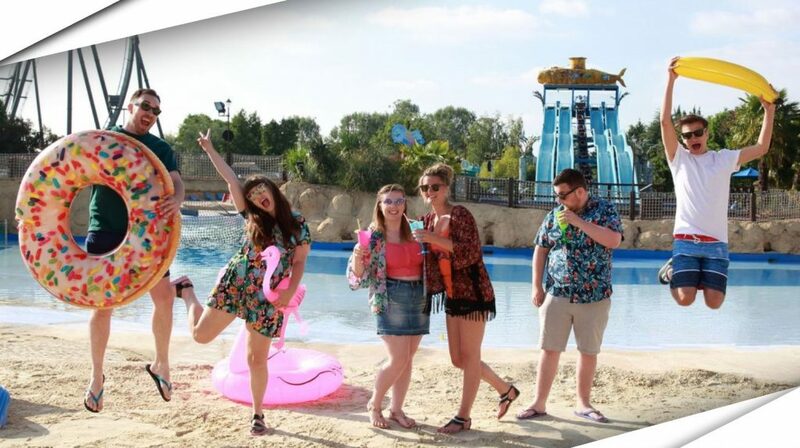 This summer, 2018, Thorpe Park, a Surrey theme park, is offering an exclusive Love Island fan experience. There are opportunities for you to meet star guests from previous and current series. Located in the Amity Beach area within the park this world’s only Love Island event that will allow you to enjoy themed cocktails, beach food, a specially-themed chill out zone and a chance to hire VIP beach huts. Iconic Love Island games will also commence, including the notorious lilo race where prizes are up for grabs. Come to visit Thorpe Park Thursdays, Fridays and Saturdays nights from Thursday 26th July to Saturday 1st September 2018 to enjoy this unique experience.